I am at the Gartner Identity & Access Management Conference this week. It was the best of times and the worst of times today. At the Olympic Trials Marathon Ryan Hall, the new American running prodigy, broke the Olympic trials record with a winning time of 2:09:02. This was on the heels of an astounding 59:43 American record by Hall in the half marathon earlier in January. Dathan Ritzenhein and Brian Sell also put in amazing performances to come in as second and third, respectively, to qualify for the Beijing Olympics. But the running community is grieving, not celebrating. Ryan Shay, a 9-time NCAA All-America, collapsed and died today at mile 5 1/2. 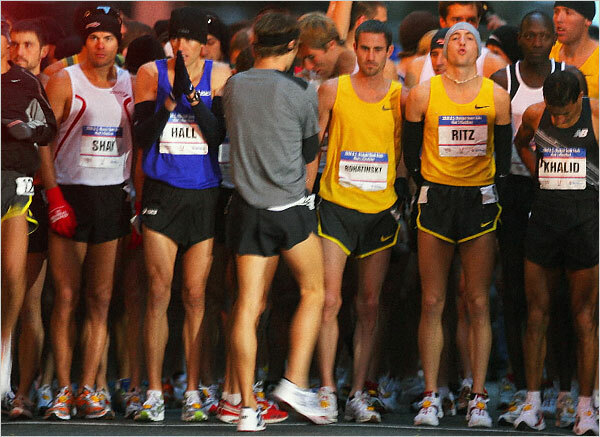 The 28-year-old Shay had been a 2001 NCAA 10K, 2003-2004 USA Half Marathon, and 2003 USA Marathon champion. Ryan we will miss you.